BEA Readers: Visit Us at NAB 2016 for FREE! | Gorman Redlich Mfg. Co.
Visit Gorman-Redlich and See Our Equipment In Action with a FREE Exhibit Pass to the National Association of Broadcasters 2016 Show! If you are a reader of the Broadcast Education Association website, then you obviously care enough about broadcasting to go the extra mile to learn more about it. Take your love of broadcasting to the next level by attending the National Association of Broadcasters (NAB) 2016 show in Las Vegas to learn even more! Visit Gorman-Redlich in Booth C1121! As if this prime opportunity to network and learn with other broadcast and media professionals while getting a first-hand look at the equipment that makes the broadcast world tick, we can help you visit NAB Show 2016 for FREE! Receive a free exhibits-only pass for NAB 2016 when you register using our unique code below! See our equipment in action at booth C1121, speak with our engineers, and learn about how our equipment can help your station thrive! If you can’t wait for the NAB show in April, ACT NOW by filling out the form below to receive more information and receive an extra 5% off of your order exclusively for our visitors from the Broadcast Education Association website. Don’t forget to sign up for periodic news updates via The Gorman-Redlich Update. 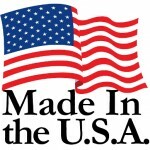 As with all Gorman-Redlich equipment, the CRW-S is Made in the USA. ACT NOW Use the form below to request more information about Gorman-Redlich Weather Radio equipment and you will also receive a special 5% BEA visitor exclusive discount over the already low $690 MSRP! Enter additional comments or questions, telephone number or preferred contact method.